Many parents of strong-willed children feel inadequate or like they’re doing something wrong. But this isn’t true! Although strong-willed children do present a unique challenge, it is possible for Mom and Dad to tailor parenting practices and actually enjoy their time with the kids. Written by two distinguished parenting authorities, this book offers specific advice on the serious problems that face so many parents. Finally readers can relax, as they learn how to: regain control of their family; reap the benefits of healthy communication; discipline to teach, not to punish; resolve conflict effectively; and overcome willfulness in older children. When every mealtime, bathtime, and bedtime is a struggle, discouraged parents need answers—and now they have them. 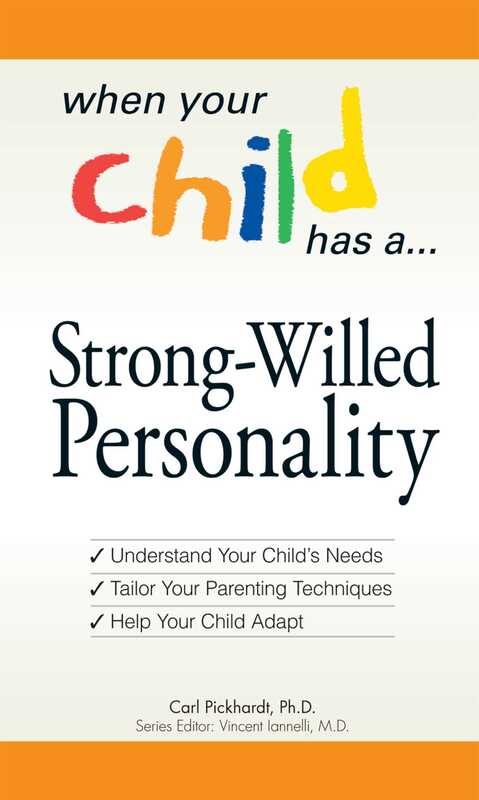 With this book, parents can rest assured that they too can raise a respectful, cooperative, and pleasant child.